This morning I got a later start than I wanted, so I only got in 3 miles. I’m still waiting on my new vibrams, so my toes & heels were a bit smooshed & complaining. I love them so much, but the 6 miles did make my feet a wee bit sore. 7. Ethan Hawke – I’m not against modernizing Shakespeare, but this version was what I call “Speed Hamlet”. His ‘To Be or Not To Be’ soliloquy consisted of a short clip of a video showing him holding a gun to his head & stating “To be or not to be”. And that was it. What I like best about it: I’m not sure, to be honest – I’d have to watch it again to decide. 6. Kevin Kline – He overacted the bulk of the play in a way that left me speechless. Ophelia is quite possibly the one that I like the least (though I naturally do not like the character much). What I like best about it: the scene with Polonius & Hamlet – sticking the page from the book to Polonius’ forehead was a stroke of genius. 5. Mel Gibson – There is little in this version that is of value to me. I physically cringe when Gertrude lunges for Hamlet in the bed scene. What I like best about it: the set, the costumes & Helena Bonham Carter as Ophelia – she is my 2nd favorite Ophelia. 4. Laurence Olivier – I know that for many, Olivier is the perfect Hamlet. Not so for me, I’m afraid. He is too cold, cunning & emotionless for me to enjoy. And a huge crime: Rosencrantz & Guildenstern have been cut from it! NO! What I like best about it: the Gravedigger scene, I think. 2. Kenneth Branagh – for years, my all time favorite Hamlet. His Hamlet is quietly sincere & intense. I love that nothing has been cut from it. I normally can’t stand Ophelia, but Winslet knocks it out of the park in this role. She is the best Ophelia of all that I’ve seen. Plus, Jacobi as Claudius? BEST one evah! What I like best about it: Branagh, Winslet & Jacobi! 1. David Tennant – actually knocked Branagh off the #1 spot. He is so expressive – if you were to mute the audio while watching, you could still tell just what Hamlet is feeling at any given moment simply by watching his expressions and body language. Mercurial, physically expressive, with an amazing ability to convey the comedy in the play as well as the pathos – Tennant brings Hamlet to life like no one else has. Oliver Ford Davies is the best Polonius I’ve seen, as is Penny Downie as Gertrude. The setting, costumes & filming are all incredible & beautiful – simple, clean & classic with just that touch of modernizing. Who would have ever thought that Hamlet in a t-shirt & jeans would work so perfectly?! For those of you in the U.S., you can watch the whole thing on the PBS website here. How can you not love PBS?! :) What I like best about it: Everything except Claudius and Ophelia’s mad scenes. I decided to do a slightly different search today. This one is for those of you looking for pretty shawls/wraps to make out of sock yarn. They are all also free patterns available through Ravelry! None of these are mine – please click the picture to go to the Ravelry page. 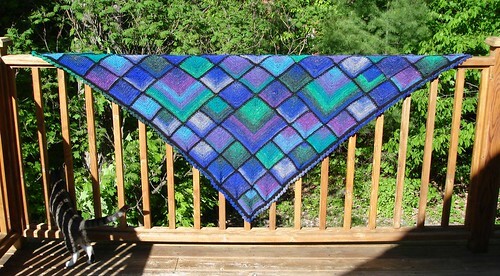 * Designed for the 10 in 2010 shawl group! * This pattern is perfect for one skein of sock yarn - you just knit until you run out! Awesome. * SO pretty! 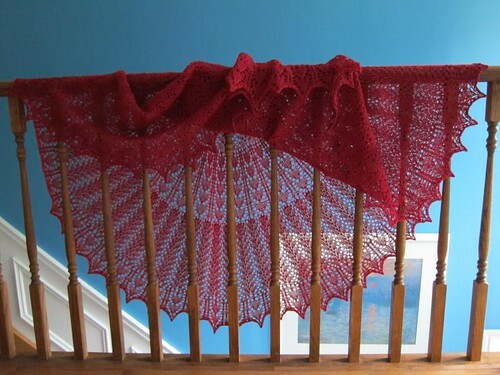 An excellent shawl to add beads to, if you are so inclined! 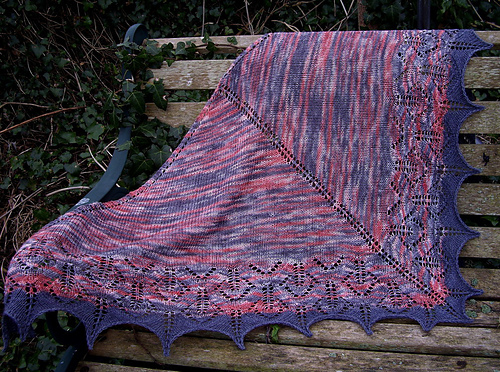 * Crow Prints Shawl - very pretty! 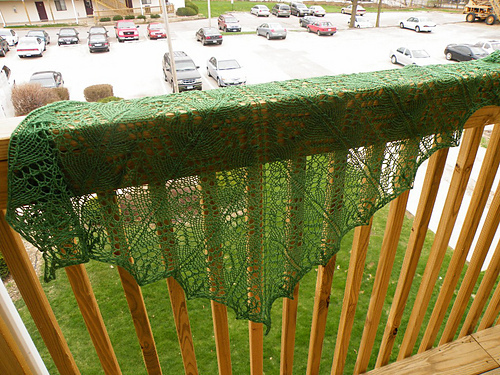 * Another lovely crocheted shawl! The up close shots on the pattern page are wonderful! * Angel Wings - lovely! * I like the shape of this one, very nice! * This designer is the one that inspired me to knit my rainbow pooling experiment scarf - gorgeous!. * Very pretty, I've included this pattern before, I think. Well worth another look, though! 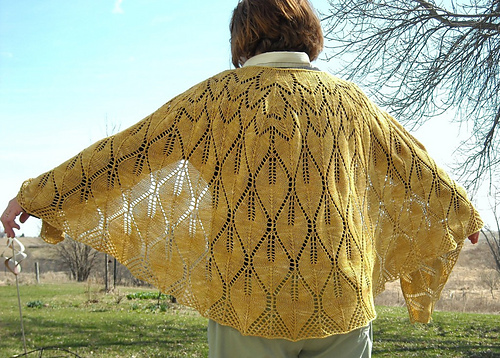 This entry was posted in Running and tagged Free Patterns, Hamlet, Knitting, Running, Today's Ravelry Search. Bookmark the permalink. it’s fascinating watching different actors take on major roles. I enjoyed Tennant’s version a lot. I love different versions of Henry V too, Branagh’s is excellent. Those shawls are lovely! I just watched that version of Hamlet with my teen daughters, David Tennent is their favorite actor too. We came across the dvd at costco and I was really surprised it was already released here. ;) I cannot recommend it enough, it is awesome! Love that second crocheted shawl (the gray one). Simply gorgeous! Definitely check them out, there are some real treasures there! ;) Hmmm… I’m guessing your favorite Shakespeare play would run more to the Romeo & Juliet variety? My second favorite is Twelfth Night, though Much Ado About Nothing is right up there too. As I find more, my faves might change, but I suspect Hamlet will always be nearest & dearest to my heart (in spite of Ophelia’s character!). BTW I can see the pics from home now, great slectins…as always:-) Love the second one..
Ah, yes – I thought you might like that shawl!